As noted earlier, most primates adopt locomotor postures and gaits that concentrate vertical reaction forces on the hindlimbs. primates also generally have higher duty-factors for their hindlimbs than they do for their forelimbs—that is, their hindlimbs are in contact with the support for a larger percentage of the cycle than their forelimbs are. We believe that this difference in fore- and hindlimb duty-factors has a great deal to do with why primate walks are DS. In Figure 8, we have plotted the duty factor index (hindlimb duty factor as a percentage of forelimb duty factor) against diagonality for 330 locomotor cycles that we have recorded for a wide variety of mammals, comprising 17 genera of noncallitrichid primates and 21 genera belonging to six other ther-ian orders (Cartmill et al., 2002). The horizontal line along which this index equals 100 represents the plane of the Hildebrand diagram (seen edge-on). The walking gaits of most nonprimate mammals fall quite close to the Hildebrand plane, conforming to Hildebrand's (1966, 1968) observation that fore- and hindlimb duty factors are nearly equal as a rule in symmetrical gaits. However, most primates have hindlimb duty factors that are significantly larger than those for their forelimbs. Moreover, there is a significant positive correlation among primates between the duty factor index and diagonality (p = 0.614, p < 0.001). This correlation has a simple mathematical basis. To lengthen the hindfoot's contact period relative to that of the forefoot (and thus increase the value of the duty factor index), the hindfoot has to come down earlier, or be picked up later, or both. If it comes down earlier, diagonality increases by definition. Increasing the duty factor index in this way has the additional advantage of solving the grasp-interval problem inherent in the walking trot: by swinging the hindfoot further forward (and thereby advancing the moment of its touchdown) in a gait that is otherwise similar to a walking trot, a primate can gain enough hindlimb contact time for the foot to establish a secure grip on the support and still be in a trot-like protracted position when the hand comes down on an untested branch. Does an elevated duty factor index by itself explain why primates have DS walks? 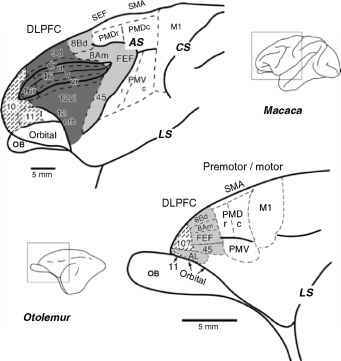 To put it another way: are the DS gaits of walking primates simply walking trots in which the hindfoot swings farther forward and thus has an enhanced contact time? If primate DS gaits are merely walking trots with enhanced hindlimb protraction and contact times, then diagonality should be 50 (a walking trot) when hind and fore duty factors are equal. However, all our primate data for which hind- and forelimb duty factors are equal have diagonality values greater than 50 (Figure 8). The scatter of primate walking gaits in Figure 8 lies almost entirely to the right (increased diagonality) of the scatter of nonprimate trots for all values of the duty factor index (100 x hind/fore duty factor). This rightward shift indicates that primate DS walks are not simply walking trots with a prolonged hindlimb stance phase, but rather involve a slight additional shift in the phase relationships of the fore- and hindlimb movement cycles. It is nevertheless clear that the DS walking gaits of primates are in large measure a consequence of an elevated hind- to forelimb duty factor ratio. Just as importantly, the lateral-sequence gaits that occur in some primates are part and parcel of the same pattern, resulting from a reduction of hindlimb contact time relative to that of the forelimb.